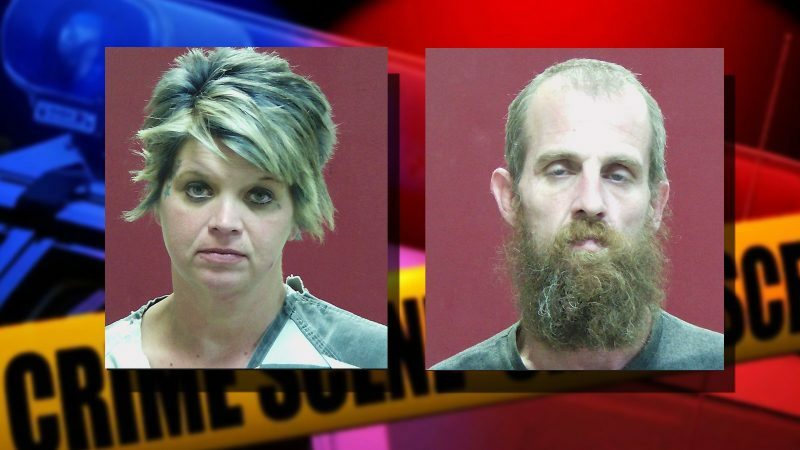 A five-year-old developmentally challenged boy was rescued by Investigator Rocky Potter and deputies of the Rhea County Sheriff’s Department at an Evensville home Monday. The boy was found padlocked in a room when deputies arrived. “When I went to the residence, I could hear the boy’s voice inside the mobile home yelling ‘out, out, out’ and ‘hungry, hungry, hungry,” states Potter who has 30 years in law enforcement with 15 years specializing in family and child abuse cases. Once freed from the padlocked room, the boy went directly to the refrigerator in search of food. Hall went to a shelf in the hallway and retrieved a harness which fit the description of the one reported on the hotline. Hall says she had already been threatened by family members stating they would call authorities if she continued to use the device. 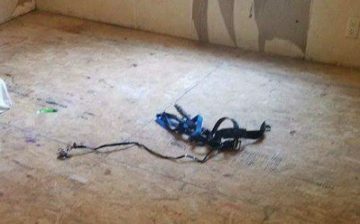 Upon inspection of the padlocked room, there was an eyebolt in the center of the floor where the harness was believed to be connected. The room was otherwise empty apart from an old mattress on the floor. As deputies scoured the property, they found Hill’s boyfriend, Dennis Couch in a well house out back along with methamphetamine components. Couch was charged with initiation of manufacture of methamphetamine, unlawful drug paraphernalia, and also charged along with Hill for a Class A Felony of Aggravated Child Abuse, Neglect, and Endangerment. There were a total of three children in the household all under six-years-old. The children had several marks on their forehead and on their face but are now safe in the custody of family members. The five-year-old is reported to be very fond of the couple who is caring for him. Hill was given a $100,000 bond of which she posted and is now on the street awaiting an August 4 court date. Couch was placed on a $125,000 bond and is currently housed at the Rhea County Jail awaiting arraignment on June 20.